Below is a map showing our main service areas that are covered by our mobile personal trainers in Melbourne. 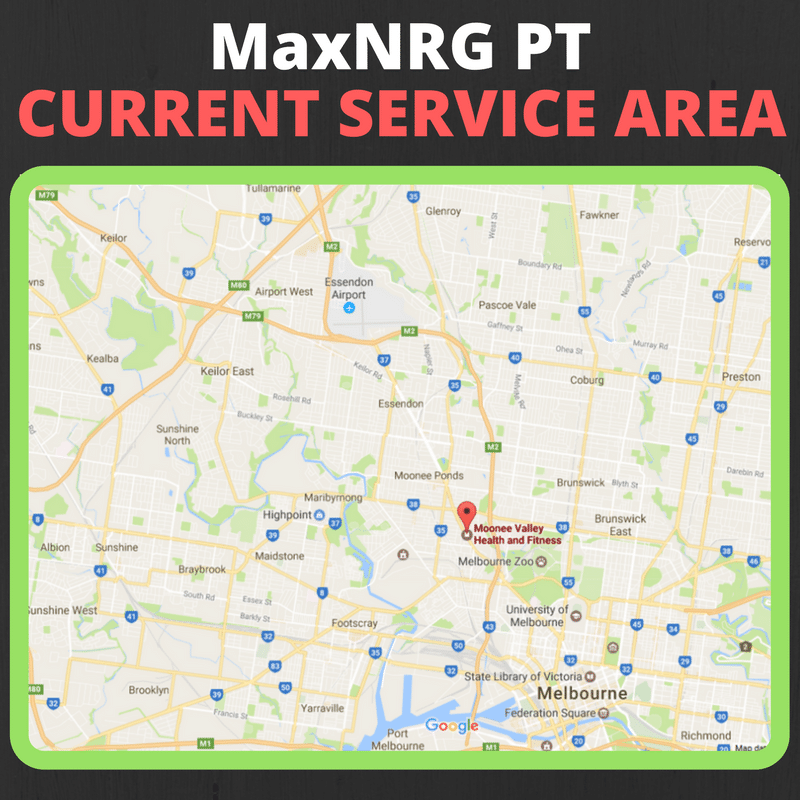 The service areas in which MaxNRG Personal Training operates in is continually expanding, so please don’t hesitate to contact us to enquire about your area. Please Note: If the particular area you are interested in training at isn’t listed please contact us on 0403-741-278 or fill out our online enquiry form and we will try to arrange a suitable location and trainer for your needs.